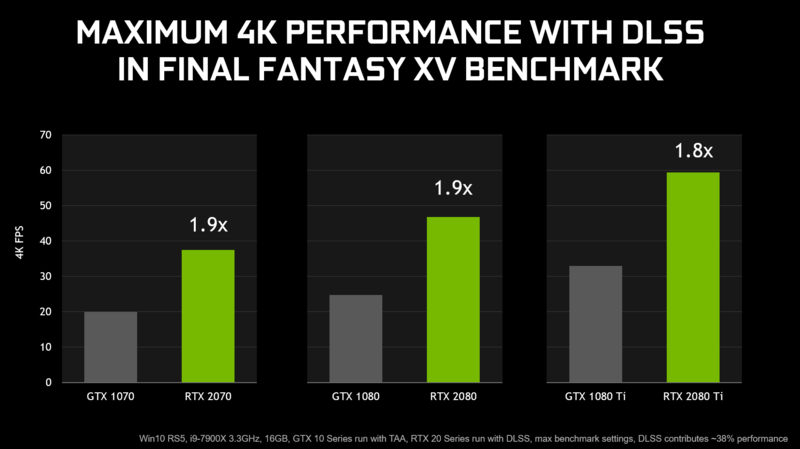 The Final Fantasy XV publicly available demo has been updated to allow users of Nvidia’s RTX 20 series of cards the ability to test out the performance of DLSS (Deep Learning Super Sampling) and the results are rather pleasing and have a lot of potential. If you’re not familiar with the concept of DLSS, the brief explanation is Nvidia uses their high performance super computers to run images of games which are running at up to 64X SS (super sampling) and comparing those images against ‘noisy’ and lower resolution images using its Neural Network. The idea is that eventually the Neural Network starts to get really good at upsampling those images, and thus Nvidia have obtained the ‘trained’ data. It can then bundle that data to run on your home GeForce 20 series card with a small bit of data in the drivers. To be clear here, developers need to submit titles to Nvidia to run them through their systems, but the results are certainly impressive. 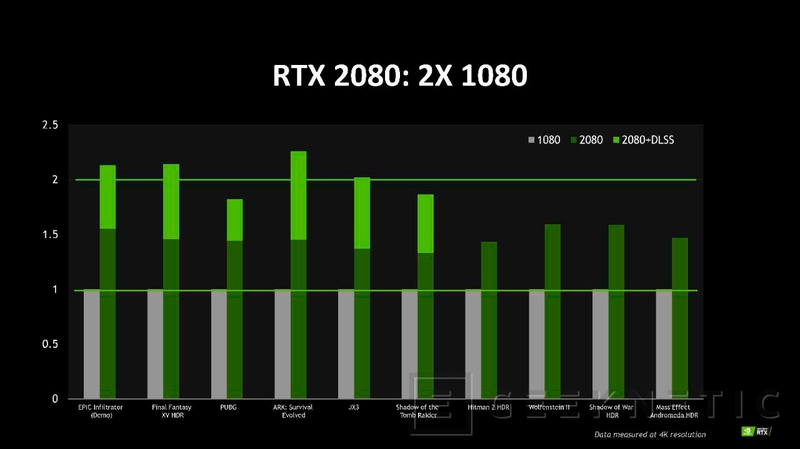 Upon the announcement of the RTX 20 series of cards, Nvidia’s Jensen Huang claimed the RTX 2080 would be about twice the performance of the GTX 1080 – thanks to a combination of shader improvements and DLSS. And the end result of all of this? Well, the claims seem pretty darn accurate. The visual quality of DLSS 4K is very impressive, certainly better visually on a 4K display than any 1440P output could hope to achieve. 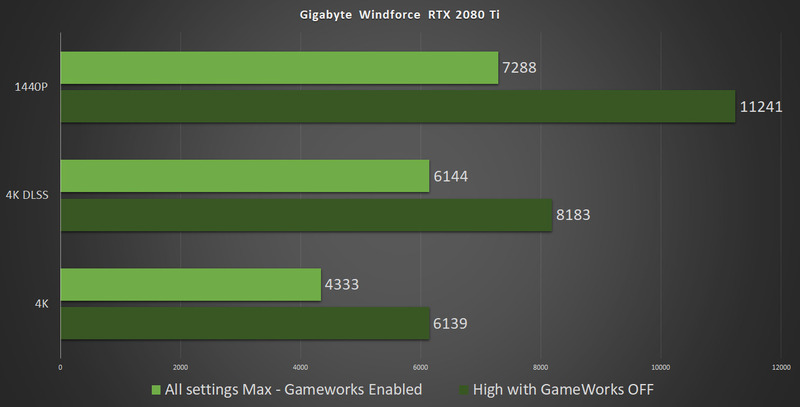 We ran the tests on a RTX 2070 (and MSI Gaming Z variant we’re currently in the final stages of reviewing), a Gigabyte Windforce RTX 2080 Ti and a reference model GeForce GTX 1080 for point of comparison. I will try and include the GTX 1080 Ti results soon, I don’t have a model here and it is Amy’s machine so I didn’t have access to it today. 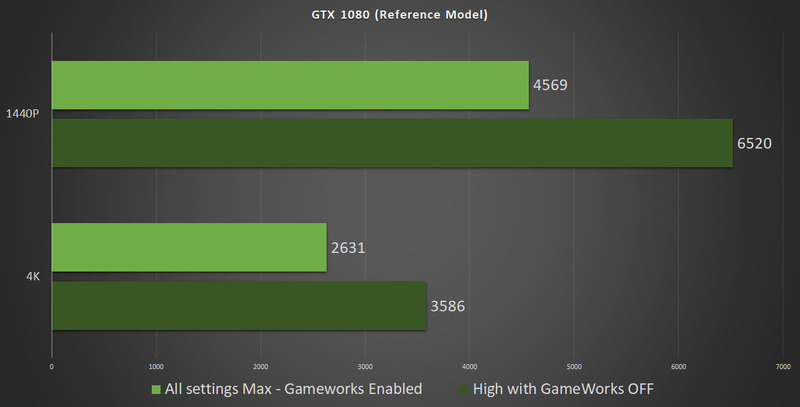 We tried at two different quality settings and also run the game at both 4K (with DLSS enabled and disabled) and also 1440P so that you can get an idea of the performance scaling; with the GTX 1080 card of course DLSS isn’t able to run as it is missing the Tensor Cores which the technology needs to function. 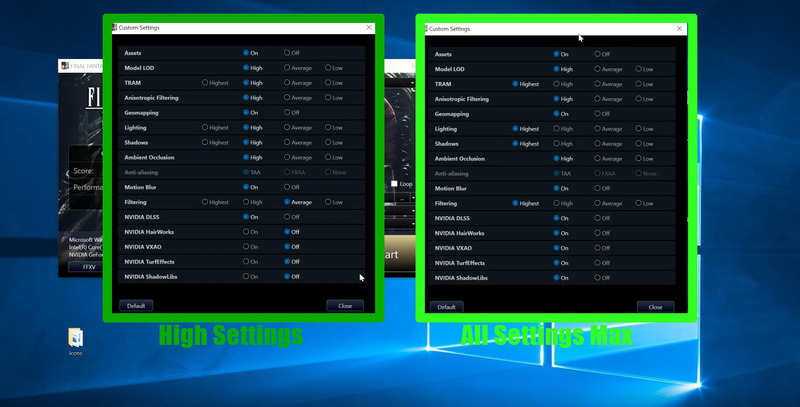 Here’s a screen grab of the various settings we used. These DLSS Final Fantasy 15 results are impressive – and the good news is they’re definitely coming to the full PC game; despite the concerns Square were canning the development of it after news they weren’t pursuing the development of the Final Fantasy 15 DLC after news the games director Hajime Tabata left. The RTX 20 series of cards still has a number of questions concerning both Ray Tracing and DLSS in the long term, but these results should be of serious consideration to those who’re on the fence of buying either a Turing or Pascal card. This article was filed under Features, Tech News. Tagged with 4k dlss, benchmark, dlss, final fantasy 15 dlss, nvidia, nvidia dlss, rtx 2070, rtx 2080 ti, rtx dlss.